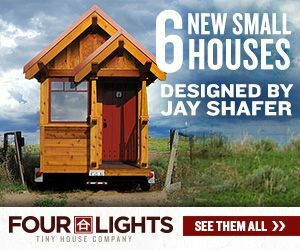 Small House Style is a web magazine dedicated to all things small house & home, prefab, sustainable, design, architecture and modern. One of the improvements you’ve been asking for at Small House Style is more images of “the dirty dishes in the sink.” Many of the small houses we have written about do not address “real living.” Your concerns are not lost on our ears. That is where Pedro de la Montaña comes in. 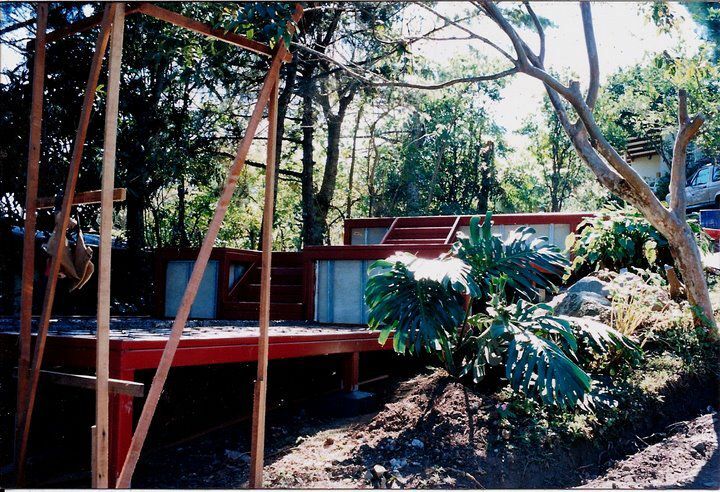 With no experience as a builder he carved out a little slice of heaven on top of a mountain in Costa Rica. 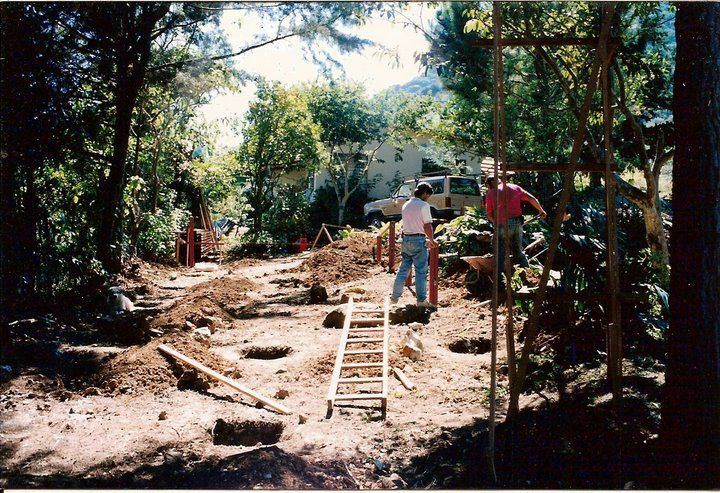 Word to the wise: Make sure you are on site for much of the construction and that you are very clear with your GC or foreman – it could make or break your small house dream. If you have any comments or questions for Pedro, post them in the comments – he’ll respond! 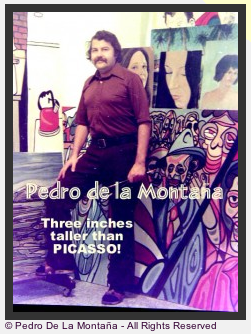 PS Check out Pedro’s artwork – he is 3 inches taller than Picasso. A $40K prefab container home in NYC? It looks like you made great use of limited space. Your scenic surroundings are beautiful – it almost seems like a treehouse. Costa Rica sounds like a fabulous place to live. I sure wish that the San Diego building department made things easier for people wanting to build here. There are way too many restrictions and regulations in California. Congratulations on your beautiful home! Thanks to both for the nice comments. My stories can get a bit long so I will give the short answer to your two questions. Maybe not that simple but darn close. and Dave…keep in touch and drop by and see what can be done on a shoestring. Hoping to hear from you. what a beautiful house I am from Canada and looking around to semiretire in a couple years I and my wife have not much money but would like to have a small heaven like you. Where did you get all the plans for the house and material?You sure have abeautiful spot it looks like heaven. Thank you. As a former Vermonter I can understand your desire to retire to a country that doesn’t have heating bills. The plans for the house was a few scratches on a piece of paper, the rest was winging it. I am sure you and other posters have a lot more questions. I’m still to much of a technofobe (?) [can even spell it!] to figure out a better way to respond. If you’d like more in depth information you can click on the link to my art work. On the info bar click on ‘contact’. There you can send an e-mail directly to me and then I will have you e-mail address without making it public. Hope to hear from all of you soon. Wow – what a story! I was looking for your art work and came across this page. 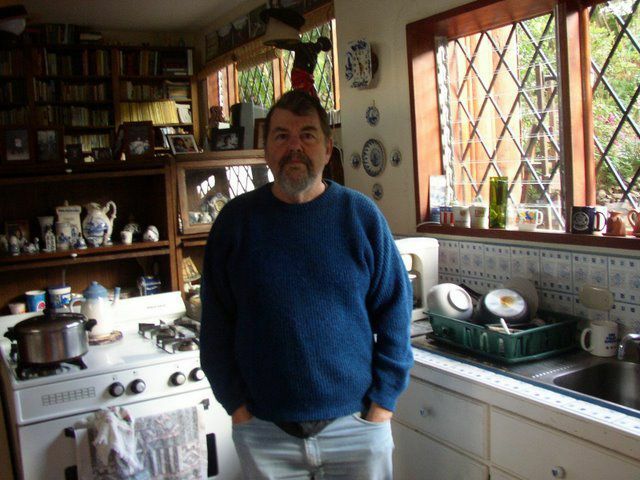 Thank you for sharing your photos of your house. 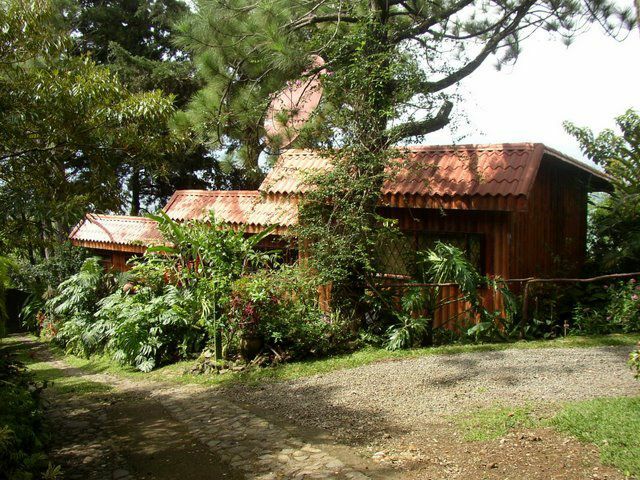 It is exactly what I want for my own place in Valle de Orosi, Palomo, Cartago! You house is designed on a small footprint I am impressed with your eye for details that make you home look so comfortable! Do you mind if I take a few ideas for my placing that I will start to development when I visit my property in September? Several questions please, does the deck side sit on the edge of either a valley or mountain giving you a view? Is the whole frame steel welded to the uprights posting in your foundation holes? Finally, since the outside logs seem so handsome, why did you decided on plaster board? Finally, did you apply the plaster board directly to the outside log walls without needing a stud frame? Tom on a budget in Portland, Oregon but someday soon Palomo, Costa Rica! I am interested in seeing some photos of small homes. 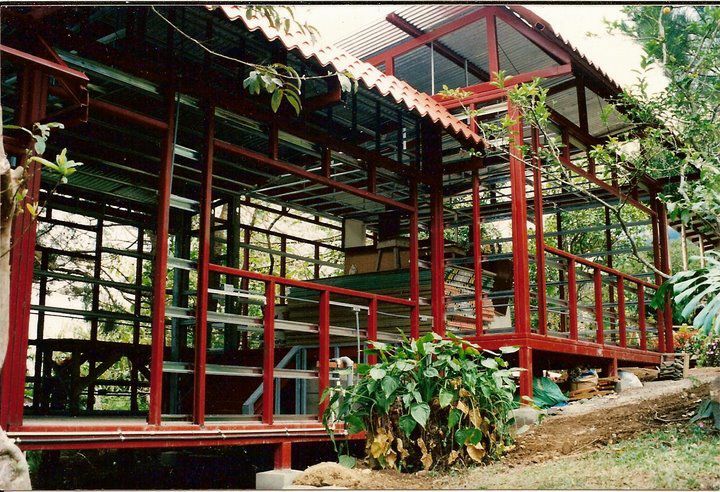 Do you construct homes in the Uvita area in Costa Rica? What is the usual price per sq ft when building a smaller home? Sound like you have the notion that I am some sort of builder. Sorry if that is a disapointment but I’m not in that business. I hope you find what you need and have as great a life in costa Rica as I have found. If any otther questions I can answer let me know. But it would be helpful if I had your e-mail. Not sure how we do that thru this site. Anyway. lots of luck. 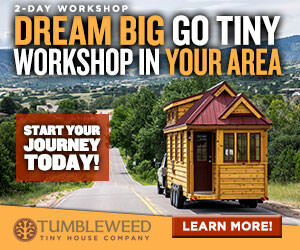 Tumbleweed Tiny House Builder Bundle Blitz! Save hundreds on a workshop ticket bundle in 34 locations. On sale this month only. 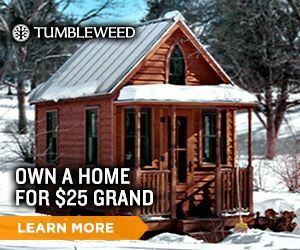 Learn How to Build a House for $25 Grand. Workshops around the US. 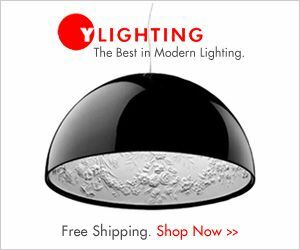 Click here to find a city near you. Amazing Small House Plans. Live in style, in a 117-172 sq ft home. 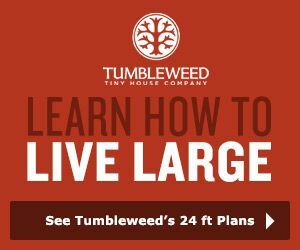 Visit Tumbleweed Tiny House to learn more. 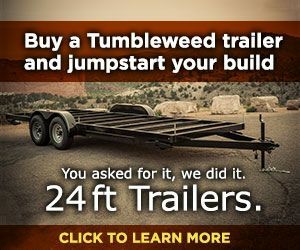 Build a Home for $25 Grand. Amazing Small House Plans. 117-172 square feet.